As the new Love Island series starts to heat up and fans want to learn all about the people whose lives they’re investing in so thoroughly, some true reality TV fans might realise they’ve seen Adam Collard before. There’s already been some great gossip revealed about this year’s Love Island stars – including the fact contestant Wes Nelson once spent £1,000 on a first date. While this news is something Wes can show off about, Adam has made some statements recently that he may be regretting. Despite his recent negative comments regarding the show, Adam Collard has been spotted elsewhere on British television – MTV’s Geordie Shore. MTV‘s Newcastle-based reality TV show, Geordie Shore, first aired in 2011, and has been displaying the drama and antics of drunken Geordies ever since. Think Love Island, but less beaches, stronger accents and more nightclubs. In 2016, the two worlds collided, as 2018 Love Island contestant and Newcastle gym owner Adam Collard appeared in one of the Geordie Shore nightclub scenes. The footage has come to light after Adam claimed he’d turned down the chance to join the cast of Geordie Shore, explaining he was ‘not that type of person’. Shortly before beginning his stint on Love Island, Adam spoke to the MailOnline, explaining why he’d turned down the opportunity to be a member of Geordie Shore. I don’t want to come across that way. I love having a laugh and going out but in between all that I’ve got things I want to do with my life as well. Adam went on to say that Geordie Shore was ‘not a true representation’ of Newcastle. However, despite all his talk, Adam appeared to embody this ‘untrue’ representation of Newcastle as he appeared in a nightclub with some of the Geordie Shore cast – and there was more than just some good old fashioned nightclub boogying going on. 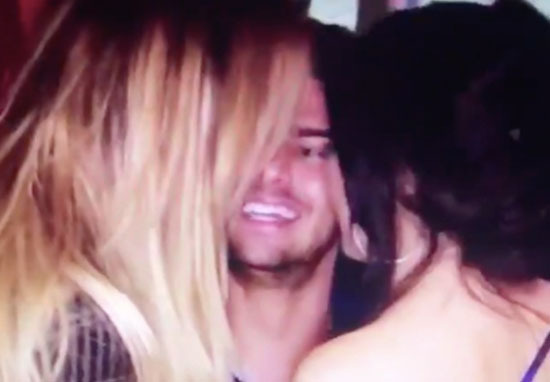 Adam can be seen on the show with cast members Charlotte Crosby and Chloe Ferry as the three reality TV stars engage in a three-way kiss. 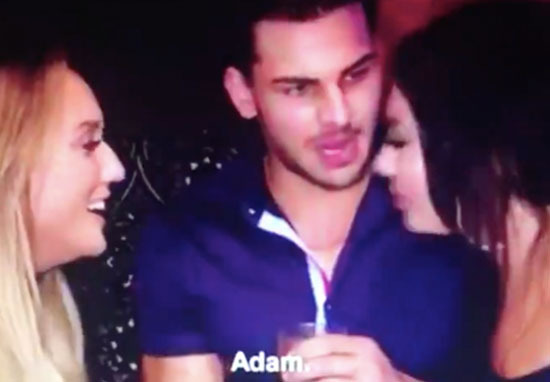 Fellow Geordie Shore star Holly Hagan shared the footage on Twitter yesterday (June 6), referring to Adam’s interview where he spoke about turning down the show. As Charlotte recaps her kiss with Adam, she says ‘Me and Chloe are all over this lad like a cheetah on an antelope’. T-minus 2 hours till the moment we’ve all been waiting for, who will Adam couple up with….? Make sure you’re tuned into @loveisland 9pm on @itv2 to find out #loveisland #mrstealyourgirl ? Holly shared the footage after another Geordie Shore girl, Marnie Simpson, showed her anger towards Adam and his comments about the Newcastle-based show. Well that’s a lie. You auditioned for it every series and got rejected. You auditioned for it every series and got rejected. Adam has not commented on these reported auditions for Geordie Shore, but with the star being caught on Geordie Shore camera and now lapping up screen time the Love Island villa, there’s no doubting he’s a reality TV enthusiast. We’ll have to wait and see if Adam engages in any more three-way kisses while he’s soaking up the sun on Love Island.